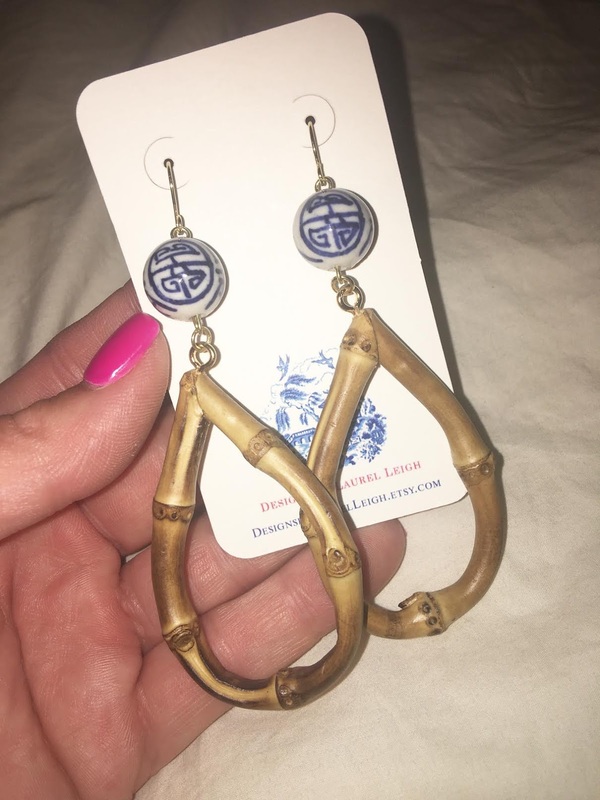 I shared three pairs of earrings I purchased on Etsy while on Instagram Live today and you all asked for the information. This is not sponsored, no money was exchanged for this post, and I paid for the three pairs of earrings I shared ( I showed my Etsy recipt that came in the mail with the earrings on Instagram live today). Etsy shop information is at the end of this post. I did not purchase this pair but they are so pretty. I did get this pair and I am so glad I did. I love pink and navy, they are light weight and just beautiful. They price of all her earrings are super affordable ( I think these were $34, the other two pairs I purchased were $24 and $20). This pair was also available in other color ways. 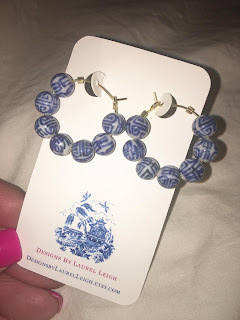 This is another pair I purchased ($20), small and simple but OH so PRETTY! 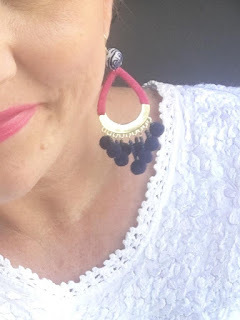 I like a statement earring here and there but I like a easy pair of earrings as well and these are simple and easy but will make a beautiful addition to any outfit. The third pair I purchased, I know, I know... but dang I couldn't help myself all her earrings are so pretty. 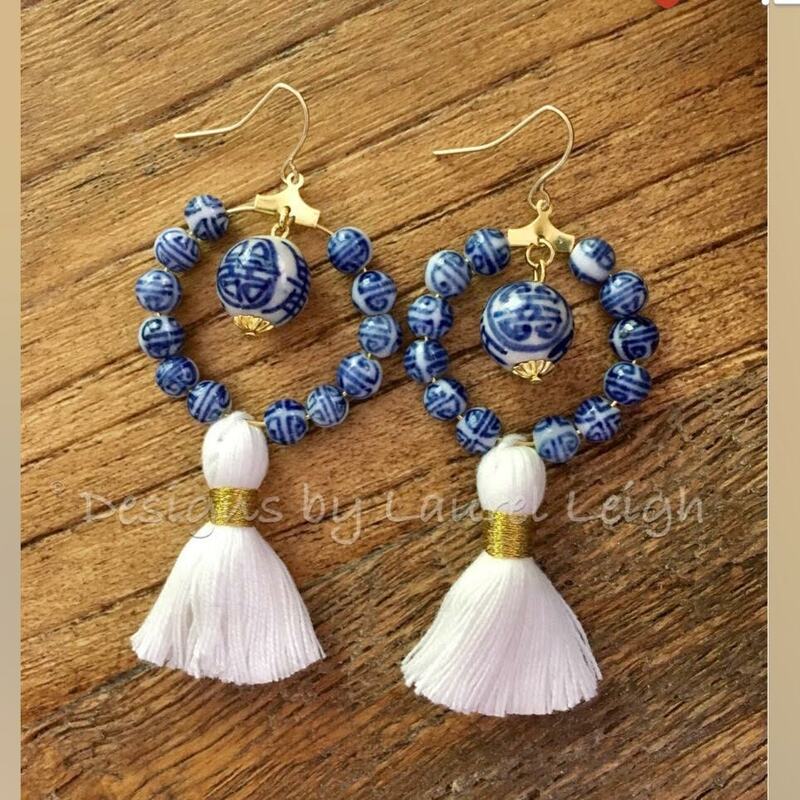 Don't let the ones I share fool ya, she makes ALL kinds of earrings not only Chinoiserie beads but tassels, leopard, hoops, pom pom....she makes it all. 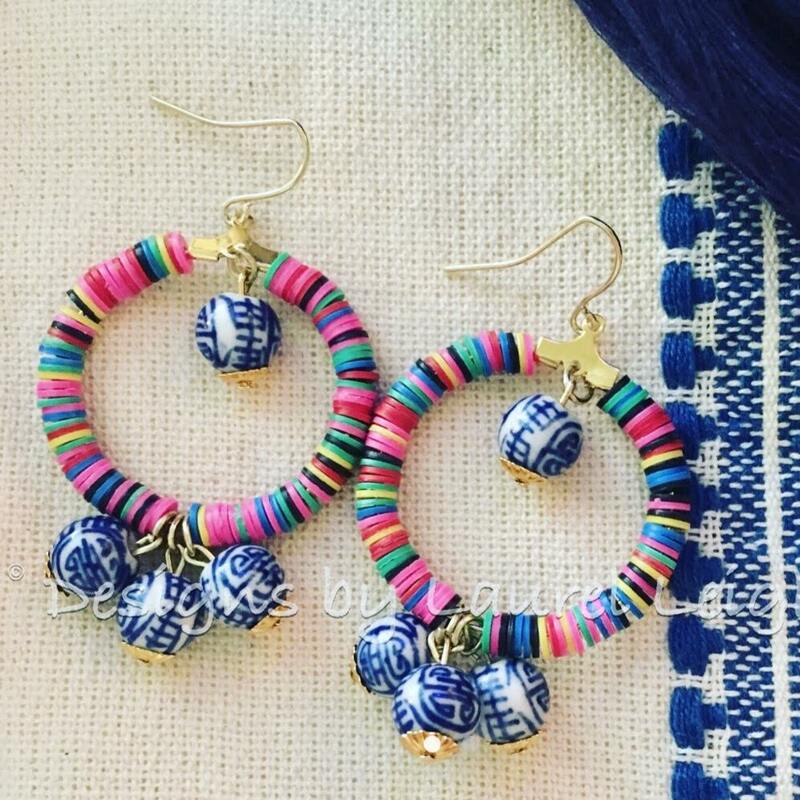 Look at these, colorful and fun! I didn't get this pair but they are pretty and scream summer. I had a hard time deciding on which I wanted they are all so pretty. Take a minute to go look at her Etsy shop, you'll be happy you did. * the above link is an affilate link to etsy, it in no way effects the price or my opinion. I purchased the three pair of earrings I shared on instagram live and here.